The court cards in this patriotic commemorative pack manufactured just after WW2 by Mesmaekers N.V., Turnhout, depict characters from the four allied countries during WW2. 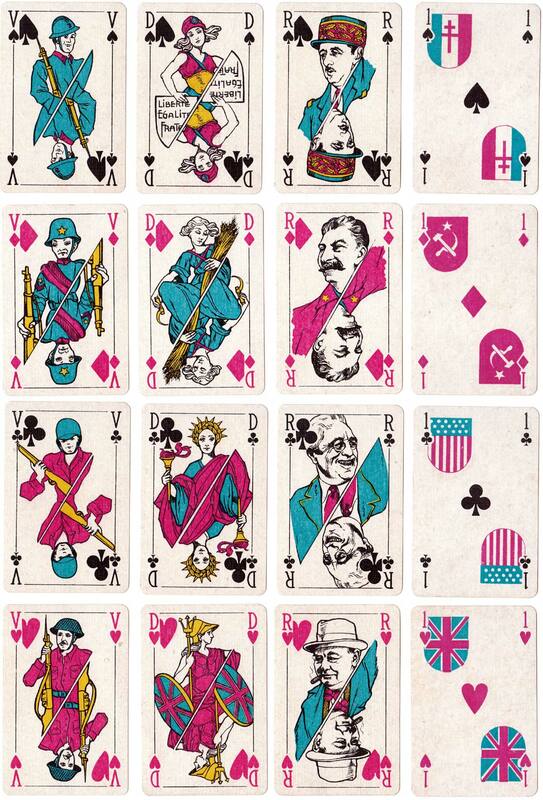 The kings are C. de Gaulle, J. Stalin, F. D. Roosevelt and W. Churchill. The queens are allegorical figures of each nation and the valets are soldiers. The aces are designated with the number 1 and each displays the shield of an allied country. The joker is a caricature of Adolf Hitler wearing a dunce hat. Above: “Le Jeu des Alliés” lithographic printed by Mesmaekers N.V., Turnhout, 1945. 52 cards + joker in box, gilded corners. 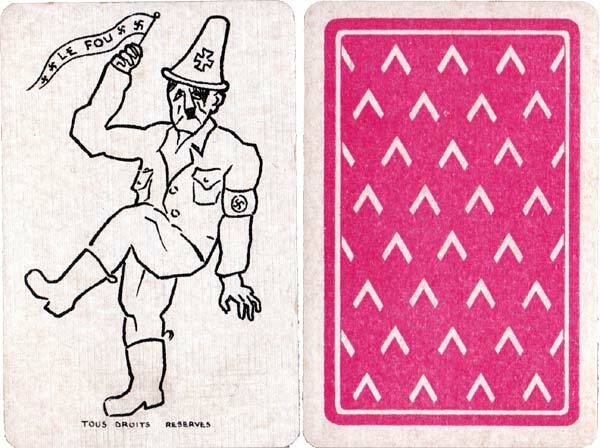 The joker, printed in b/w only, depicts Adolf Hitler wearing a dunce hat and waving a pennant with the legend "Le Fou". The back shows V signs on blue or red background. Images courtesy Rex Pitts.